All of my numbers were low to below the “negative” response. So given this test, most doctors throw out the possibility of a gluten issue altogether. Unfortunately for me, I wasn’t consuming enough gluten at the time this test was run. Although I’m not sure it would have shown anything anyway… About 1% of the general population is IgA deficient (and 2% of celiacs), meaning they produce very little IgA. Therefore, any IgA test result will be low, and the IgA gliadin antibody test might be falsely negative, indicating they don’t have a gluten intolerance – even if they, in fact, do. If that test were to come back showing a positive result (meaning, a reaction to gluten), most doctors would do a biopsy of the small intestine. I was already scheduled for an upper and lower endoscopy to check for a parasite or crohns, so I just made sure to ask at my appointment, that the GI specialist would test for celiac disease. Because that order was not on my information from my doctor, I believe the GI specialist was taken off guard. I just wasn’t sure what else to do to be heard. I had laid out my medical history, and reasons for my desire for the biopsies – but I’m unsure of how many test samples he took. The biopsy then came back negative for celiac too. As he warned me before the test, because I had been off of gluten, this was highly probable to not be accurate. I already knew in my heart it probably wouldn’t show up, but I still prayed for answers. 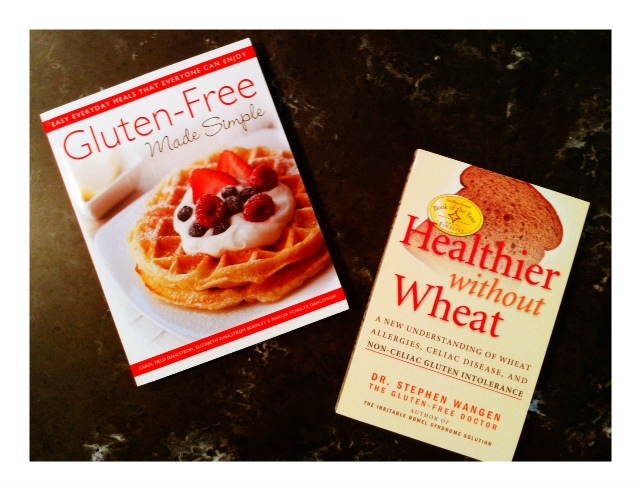 His suggestion for myself, and our kids (based on symptoms) was a gluten-free life. I wish that was enough for me. I needed that piece of paper – that proof. It was during this time that I was reading on what else to do to get answers for myself, and now my children… who I realized were very symptomatic. Many of the national celiac message boards were filled with people like myself. They knew they had celiac, but felt like they were trying to get that information in their charts. I felt like if it was this difficult for me, how on earth would I be able to get those answers for my kids – without running a whole hosts of unneccessary tests. It was then that I heard about Enterolab.com. I heard they had other testing resources available for people to do at home – and send in. One of them was the DNA test. It was a simple test (cotton swab) – and fairly inexpensive $150. I knew if I could get the results back on my genes, I could get someone to help us. I just needed proof that I knew what was going on. So, I ordered the test, and waited the painstaking 3 weeks for the results. In the mean time, my mother asked her oncologist about the DNA testing, and her Dr. didn’t bat an eye about running the antibody test, AND the DNA test right off the bat. I have one of the main genes that predisposes me to gluten sensitivity and celiac sprue. I also have a 50% chance of passing that gene onto each of our 8 children. I also have non-celiac gene that predisposes me to gluten sensitivity… and have passed that on to every child. With those genes combined, it told me that BOTH of my parents have that gluten sensitivity gene – that they have passed to each of their children (myself, and both of my brothers), and at least one parent also has the celiac gene. My mother’s tests confirmed the same. She was positive for the celiac gene. This explained WHY my symptoms were so strong. When you have TWO copies, like I did, this means there is an even stronger predisposition to gluten sensitivity than having one gene, and the result of gluten sensitivity or celiac is more severe. Let me be clear that having ONE gene is enough for gluten sensitivity to still cause inflammation and major issues within your body, and the cure is the same as with celiac disease. “If you have a non-celiac form of gluten intolerance and you have been eating gluten for many years, you have accumulated a history of ingesting something that is toxic to your body. You may notice that avoiding it 95% of the time relieves the symptom that you are treating, but you are still suffering some ill effects of ingesting gluten, whether you realize it or not. And it takes energy for your body to continue to deal with the problem (gluten). It also increases the load on your immune system and decreases its ability to deal with other problems. Posted on June 22, 2012, in Celiac/Gluten Sensitivity, Change, Diet, Our Struggles and tagged celiac dise, gluten free cookbook, gluten intolerance, gluten sensitivity, Healthier Without Wheat, non-celiac disease, testing for gluten sensitivity. Bookmark the permalink. Leave a comment.